Whilst many, many beauty products come and go, there are always some that we feel lost without. I know I have a selection that I must have a backup of, just in case that beloved 'long-lasting, dewy, but good coverage, that doesn't cake' foundation runs out unexpectedly, or that perfect bronzer that sculpts my cheekbones just that little bit better than any other, is dropped and smashes into irreparable oblivion. And don't even mention the nightmare of the dreaded D word. Yeah, those products. I thought I'd give you a run down of the beauty items that consistently grace the chaos that is my staple stash, starting with the make-up base products (primer, foundation, concealer and powder), that I'm forever loyal to. As I'm just a tad obsessed with complexion products and I have so many that I regularly wear, I decided to split this post into two parts. This first edit features the more long lasting, heavier duty staples in my core makeup collection. Part two will consist of the lighter, sheerer, base products that make up my essentials inventory, so watch out for that coming up soon, too! It makes sense to begin with primer, but to be honest, I very rarely bother with it. Fortunately, my makeup usually tends to stick around pretty well, without the need for an extra step in my routine. However, on long days, when I know I won't have much time to touch up, on special occasions, when I want to look slightly more polished, or on nights out in sweaty clubs/bars, I always make extra effort to fit a primer in. 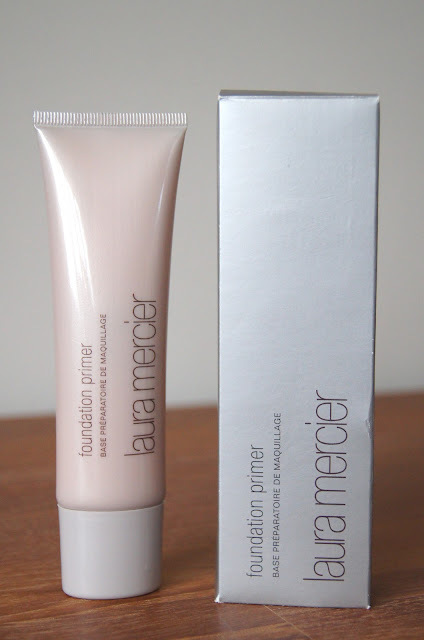 After sampling the famed Laura Mercier Foundation Primer original, I'll be very surprised if I have a love affair with any other primer, again! You can use this either on clean skin, or layered on top of moisturiser, depending on whether your skin needs extra moisture, or not. One thing that puts me off using a lot of foundation primers, is that they feel so heavy and artificial, as they tend to be silicone based. Laura Mercier's foundation primer is water based, though and rich in vitamins. 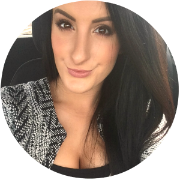 It has a light, gel texture, that feels so hydrating and refreshing. Once smoothed onto the face, it's completely invisible and feels weightless, like you have nothing on your skin. Skin is left soft, smooth and radiant, not suffocated. Throughout wear, my makeup continues to look how it did when first applied and, in areas where my makeup wears off the quickest, like my forehead, my foundation still looks good. If my skin is particularly dry, this primer smoothes everything out and prevents my base clinging to any rough patches as much, too. It doesn't contain any strong fragrance, which is a godsend for those with sensitive skin. Laura Mercier products aren't cheap, but when it comes to primer, you really should only be using the slightest amount per application. The more the better theory can be thrown out of the window, in this instance, as that will just exacerbate makeup meltdown. Bearing that in mind, I think that £28 is a very reasonable price to pay, for 50ml of the best primer I've ever tried. 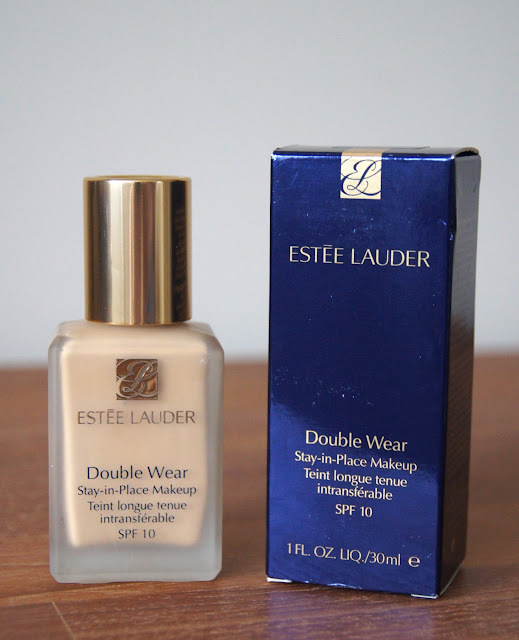 Estee Lauder's Double Wear Foundation can be scary. Applied badly, it can be a disaster. Applied well, it's a life saver for anyone that craves a long lasting, flawless finish. In total, I have four shades of this in my beauty cache, to cater for different times of the year. When attempting to achieve complexion perfection, I wear this foundation alone, buffing a tiny amount into the skin, over a generous dose of moisturiser. But, my favourite way of wearing this base, is mixed with a sheerer, more dewy foundation, such as Clinique 'Even Better', to give it more of a radiant glow on the skin. A small amount of this concoction, gives me good coverage, but doesn't feel quite so heavy as when it's worn on its own. When I say good coverage, this really will cover a multitude of sins! Initially, I find that it feels slightly tacky, but it soon settles to give a flawless, semi-matte finish. If my skin is in any way dry or flakey, I don't go anywhere near this foundation, as it just won't sit nicely. Oddly, I've experienced some flashback with this foundation, on occasions and none whatsoever, on others. When it comes to flash photography, I'm always wary of SPF and that crafty ingredient, titanium dioxide. But, if the SPF is low (below 15), flashback shouldn't be too much of a worry, usually. Just in case, I'd always recommend photographing this foundation being worn in different lights, to give it a test-run, if you wish to wear it somewhere special. One thing that drives me crazy about this product, is the packaging. Estee Lauder offer an amazing shade range and the price isn't super high-end, but the screw-top bottle is just ridiculous. Ok, it's not a deal breaker and a MAC pump does fit the bottle, but I do think Estee Lauder should have that covered in the first place. 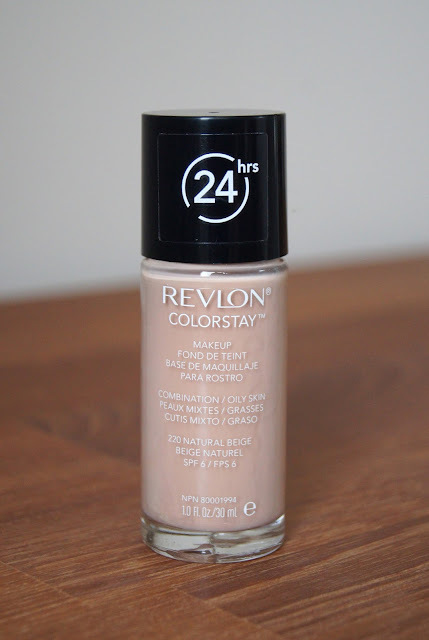 On the cheaper-ish end of the spectrum, sits Revlon Colorstay Foundation. With formulated for both dry and combination/oily skin, there is something that will suit everyone, but I personally use the combination/oily version. This is another high coverage base that I always like to have a bottle of, in my stash and it's a real beauty addict's favourite. Speed is of the essence, when applying this foundation. None of this, dot it onto the face first and then blend it in, business. Once it's set, it's set and it ain't moving. Revlon claim that this lasts 24 hours and I can actually believe that, although I wouldn't say that it feels weightless on the skin, like the bottle states. This is a great, cheaper alternative to Estee Lauder 'Double Wear', but I find the formula to be drier, once set. Like 'Double Wear', this has amazing coverage and you can easily get carried away, when you apply it. One swipe of a brush and skin is transformed. Making sure your skin is prepped well before applying this foundation, is essential, as it can end up looking like a mask, if you aren't careful. One thing that I don't look forward to, with this foundation, is the strange smell of it; it isn't exactly a nice fragrance added specifically, but more of a strong, chemical smell. I haven't experienced any problems with the SPF of 6, in terms of flashback, so it makes it a great evening foundation. As it clings on for dear life, this foundation needs a really thorough, double cleanse to remove it completely. Oil based, balm cleansers work best, I find. Considering it's a drugstore purchase, it carries a higher price tag than most, but the quality does live up to the expense. As it's a highstreet foundation, I can forgive Revlon for not having a pump attachment on the 'Colourstay' bottles, but other cheaper brands include pumps, so it seems like an unnecessary inconvenience not to have one. I haven't had the Bobbi Brown Light Peach Corrector for long and the first couple of times I dabbled with it, I wasn't too sure if I was a fan. But, I can now confirm that I love it. This is a souped up product, targeted at those with stubborn dark circles. It's much more effective than just a regular concealer, which is usually sold as an all rounder, tackling blemishes and the under-eye area. The peachy tone helps to cancel out any blue/purple discolouration, underneath the eyes. Texture wise, the corrector is creamy, but also feels a bit sticky, when you first apply it. I find that using my fingers to pat the product onto the skin, is the best way to get a perfect finish. The heat from the fingertips warm the corrector and it melts onto the eye area, blending easily. As it's so creamy, you do need to set the corrector with a dusting of powder, to avoid creasing and ensure that it lasts all day. Bobbi Brown suggest that you use their corrector first and then follow with concealer, but I find that if I'm rushed, using the corrector alone, gives sufficient coverage. When I have time, for an extra brightening effect, using concealer over the top, works wonders. For such a small amount of product, it's frighteningly expensive. The tiny compact is great for travelling, especially with the mirror. Personally, I don't carry this in my handbag, as I usually touch up with a regular concealer, throughout the day, instead. 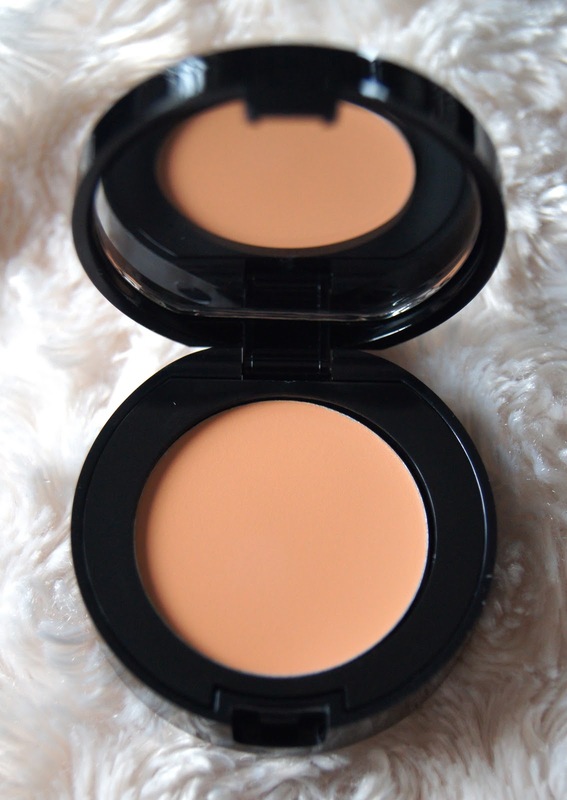 Bobbi Brown's corrector comes in a plethora of shades and in bisque tones, also. Surprise, surprise. Totally predictable, the Collection Lasting Perfection Concealer just had to be included. At the moment, there isn't just one of these in my stash, but six. Six! I have to say that this isn't my all-time, favourite facial concealer. This one, however, is very impressive and a fraction of the hefty price tag of my number one, so I tend to repurchase this one and use it, more often. This concealer is creamy and smooth, covering blemishes, dark circles and redness effortlessly, thanks to an insane amount of coverage. 16 hour wear? Maybe not, but it has a good go at lasting that long! This will stay on my skin and not budge, up until I cleanse my face, in the evening. But, one of the reasons that it is so bloomin' long lasting, is that when it sets, it gets quite dry. If you have any dry skin, this will exaggerate it, especially if you're attempting to cover one of those dry-around-the-edge blemishes. It just makes them look worse and even more obvious. Even with it drying to a matte finish, I would still advise lightly powdering over it, when using it underneath the eyes. Cheap and cheerful, I'm forever popping one of these babies in my basket, when snooping around Boots. At just over £4, you can't complain! The doe foot applicator is common with concealers, but I tend to put the product onto the back of my hand and work from that, to keep everything hygienic. Unfortunately, there is only a disappointing, four shades of this concealer and if you have darker skin, you may struggle to find a shade to suit you. Loose powders are something that don't get much attention in the beauty blogging world, I feel. Seeing as everyone on the planet is always rushing around, on the go, trying to get things done when there aren't enough hours in the day, faffing around with a loose powder every morning, isn't a priority. 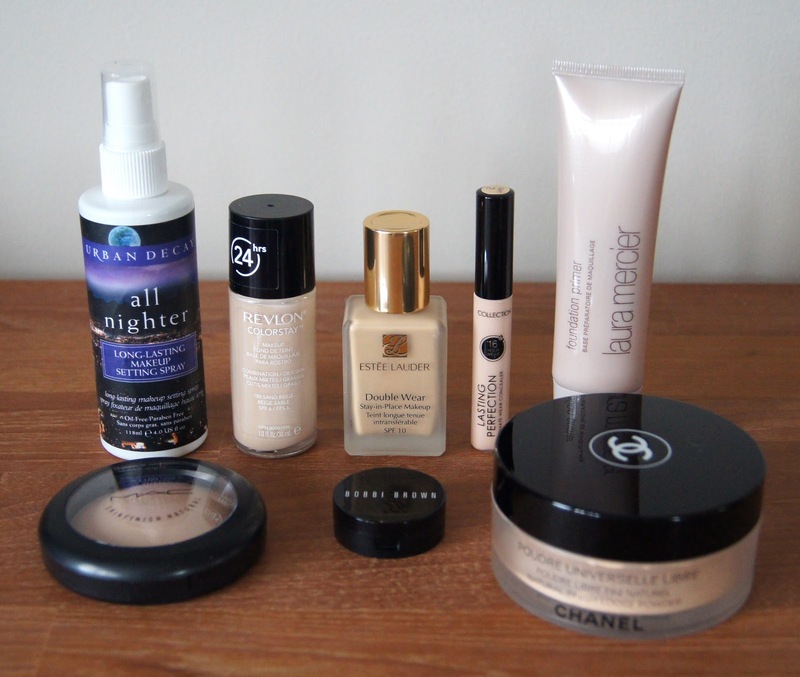 But, I really do love the effect of them, especially the Chanel Natural Finish Loose Powder. Rather than dispense a lot of product onto the skin, like a compact, pressed powder does, a loose version gives a light, more natural dusting. This Chanel beauty is just gorgeous. Being so finely milled, it never lets the skin become caked and imparts a beautiful radiance, whilst mattifying any excess shine. It does contain extremely subtle shimmery particles (so much so, that I had to double check about 15 times, just to make sure! ), but the powder is always so flattering, even on photographs. Containing some fragrance, it has the familiar apricot smell of the Chanel foundations to it, which I'm a total sucker for! 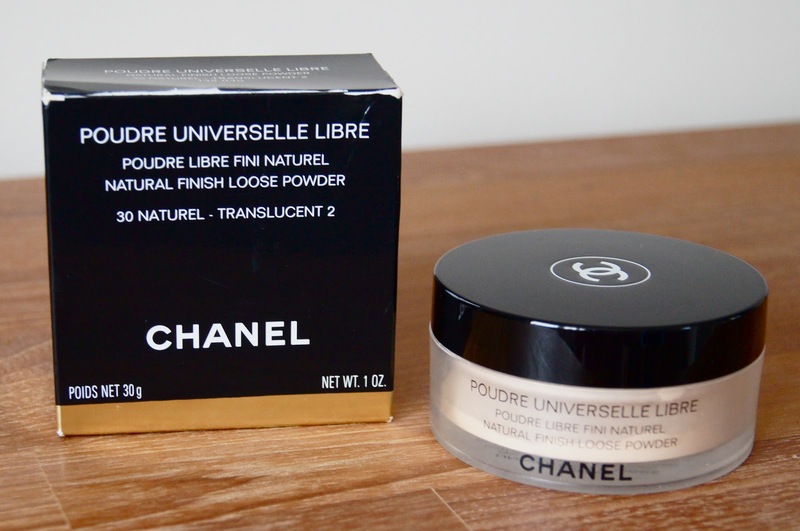 Loose powders may not be practical for carrying around on a daily basis, thanks to the larger pots that they're packaged in, but I'm hooked on the finish that this Chanel one gives. Approaching the £40 mark, the price may put a lot of people off, but when compared to compact powders, you get a significantly larger amount of quality product, for a justifiable cost. 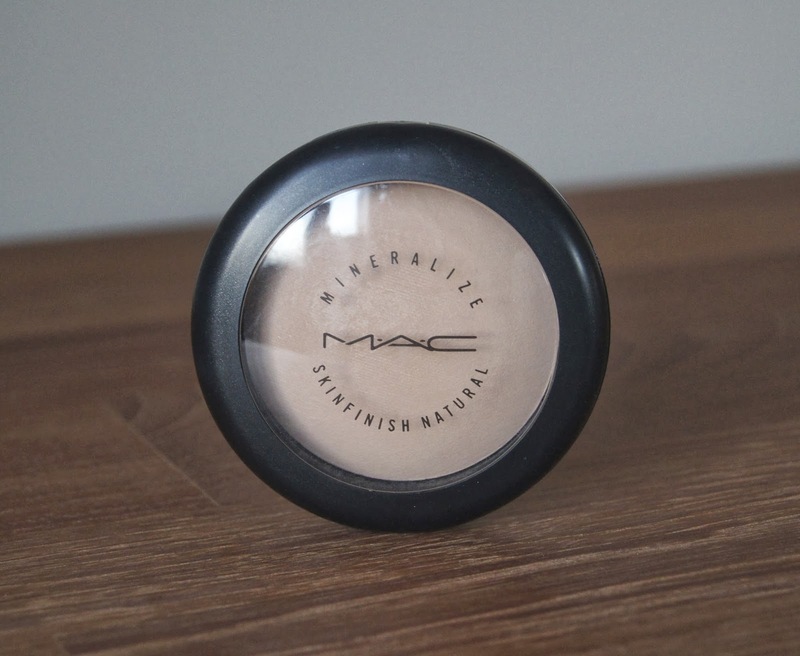 My pressed powder staple of choice, is MAC's Mineralize Skin Finish Natural in Medium. On a daily basis, this is the powder I tend to reach for the most, unless I know I'm going to be photographed. A light handed application adds an extra boost of coverage and any base products are set in place. The complexion is left matte, but with a healthy, satin finish. Some people go crazy with this powder, applying way too much, but if you go lightly, it's gorgeous and not cakey. If you're after a perfect, plastic look, then almost pushing this over the skin with a denser brush, will definitely give you that. Whenever I'm going anywhere special and know there's a chance that I'm going to have my photograph taken, I run in the opposite direction of this powder. It really doesn't fare well in flash photographs, making you look sweaty, shiny and like you've seen a ghost, so steer clear! One of these compacts has lasted me over a year, even with continued use, so I think they're well worth the money. I do wish that there was a mirror in the lid, though, so I don't have to carry a separate one in my bag. Setting spray has become another must-have product, for me. Even though I've only tried a couple from Urban Decay's collaboration with Skindinavia, I'm completely loyal to them, in particular, the All Nighter version. Daytime or evening, no matter the makeup look or what I'm doing, I always finish off my makeup with a few spritzes of setting spray. The light, refreshing formula helps to prolong your makeup, reducing the need to blot later on. Setting sprays can be used in place of powder, but I like to powder through the centre of my face and around my eye area and then use this spray. You can spritz it onto the face before makeup, after you've applied it, or if you're feeling particularly wild, both before and after. If you've gone a bit overboard with coverage, this refreshes everything and gives the face a more natural look. When the weather is warmer, or you're on holiday (because let's face it, in the UK at least, the weather is barely ever warmer), this spray is so cooling and is such a joy to apply. It does have a fresh fragrance to it, but it doesn't linger on the skin at all. 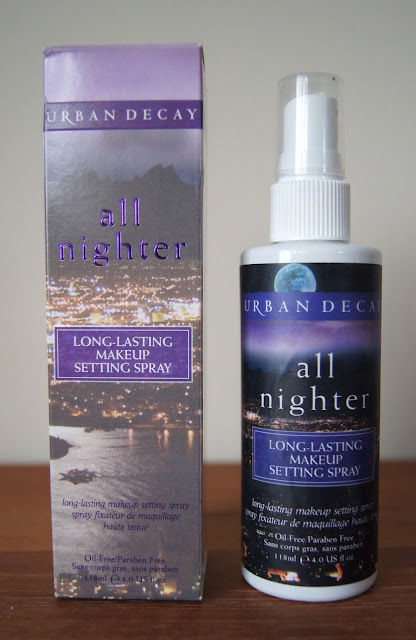 You can purchase the Urban Decay setting sprays in various sizes, including a tiny 9ml bottle, which is great for travelling and keeping in your handbag. Usually, I only use it in the morning and leave my bottles at home, though, but it's great for taking on trips and holidays. Because the bottle is specially designed to create a delicate, even mist for the face, you can't just decant the formula into any old travel bottle, as it won't work in the correct way. What are your complexion stash staples?